The corridor outside my school lab was dull. Oh so dull. I asked the students to be honest: if you didn’t know any better, where did you think this corridor was from? The most common answer was ‘in a disused wing of a mental asylum‘. So something needed to be done. Do you think they were right? The opportunity came when we decided to have an extra curricular activities week at the end of the summer term. We brainstormed loads of ideas of ‘skills’ that we could teach the students that weren’t normally part of KS3-4. 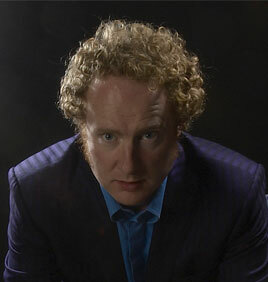 The result was a programme of events called ‘Reality Bites‘. The whole school was split up into random teams of 10 who rotated around the various workshops which lasted 90 mins. What I want to do was paint the corridor – but simply giving the kids a brush and some paint would too much a case of free labour and not a direct learning experience. So instead I came up with a plan to have a session that taught them a brief History of Art with a focus on the use of perspective. We then looked at optical illusions that played with our perception. Then I showed them how I’d created the plan to turn the corridor into a forced perspective tunnel. Obviously I’d done a lot of pre-preparation. I’d done a scale drawing of the entire corridor and marked out a 50cm squared grid over the walls and ceiling. I’d then mapped the spiral design over the corridor photo and distorted it in Photoshop over the scale drawing. Some talented 6th formers helped me draw out the curves (this was much harder than it looked!). Then, with two colours of paint decided, the first group were taught bush and roller techniques. As each new group arrived, different approaches to the painting had to be taken (and some sections had to be re-done!). But every student had a go and now all feel part and proud of the finished job (which they all have to go down to Physics and Chemistry!). If you’re passing, pop in and see us at Fyling Hall School. I grew up in Durham the North-East of England. I didn’t go ‘down south’ to London until I was 13 but my Dad worked in London and I knew where it was. When I pictured where it was, I visualised myself standing in Durham, looking south with Wales on my right with Cornwall further beyond, far right, Scotland behind and London and the South East far ahead and left. France was way off in the distance, beyond the horizon. It’s an interesting way to see the country and makes total sense. My internal map of the country was what it looks like when you are looking in the direction you are go ing in. But that’s not the ‘map’ that we’re familiar with. In fact, many people would say that it’s just plain wrong to view the country ‘upside down’. But what makes it upside down? ‘North and South!’ I hear you cry… but what does that mean? A compass will let us know magnetic north – but that’s way off from the Earth’s axis upon which it spins. But why should we align the globe with the axis vertical? As the Earth moves through the Solar System it is not vertical, it’s not perpendicular to the rotation around the sun, it’s on a considerable tilt. Anyway, who knows if we’re picturing the Solar System upside down or not? Why put north at the top and not at the bottom? Why picture the Earth as a spinning top and not like a wheel with a horizontal axle instead of a vertical axis, with the equator vertical? Why not do that? There’s no worthwhile reason at all really. Until recently the BBC weather map of Britain was not aligned north-south. It was til ted to make the shape of the British Isles sit up square on the map. Why did they do that? Convenience, that’s why. Why is Europe in the centre of most maps of the World (known as the Mercator map)? It the same reason that modern maps in America have America at the centre of the map: convenience. If you’re sailing off from the coast of Spain you want to be able to see you’re route clearly so you put Spain in the middle. This is all very well from the perspective of Spain, but by choosing one way of seeing the world, having only one ‘convenient’ perspective is always going to mean that you’re going to miss something. For example, the World is a globe, not a flat map. Try getting orange peel to lie flat, or try papering a football. The curvature will cause distortion which is sort of overlooked when you come to draw your map. That’s why Antarctica looks like a really wide territory at the bottom of the World map. But it has other effects too. By cente ring the map on the countries of the northern hemisphere it has given us a distorted view of the scale of countries in the southern hemisphere such as Africa. Poorer countries suffer enough without being made to look artificially small (and therefore less important?) on a map. In the 1970s the Peters map was produced which showed the continents to scale but they looked unfamiliar and stretched. Both maps are entirely wrong as well as being completely correct, each from a certain perspective. We couldn’t live our lives if we couldn’t take most things for granted, but now and again it is extremely useful to question why we think a certain way, why a thing is done a certain way and why we look at the world the way we do. Whom does it serve to have things the way they are? If you want to think new thoughts, new ideas and create new possibilities your perspective in some area must change. Look at the world differently, get your information from a different source, consider other points of view and find that alternative perspective. 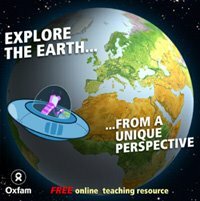 Oxfam have produced a fascinating and fun web resource which explores the concepts of how we see the world.